Until October 28, players at participating iPoker rooms can once again progress through weekly missions in order to earn spins at the random Cash Climber Prize Wheel, offering rewards of up to €1,000 cash. To participate, you simply need to opt-in to the respective weekly mission in the software client and complete the outlined task. The weekly tasks themselves either revolve around reaching a certain amount of status points by playing poker or wagering a certain amount of cash at casino slots. 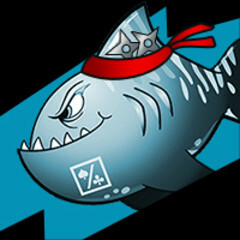 Each week, players can earn a maximum of 10 Cash Climber spins for completing up to ten Poker or Slot missions. With each spin, the random prize wheel offers a chance on a wide range of rewards, including cash, bonuses, tournament as well cash game tickets and additional prize wheel spins. You can find more information on the available prizes and missions at your iPoker room of choice participating in this promotion.